The 14040 series of ISO (International Organization for Standardization) includes a series of standards relating to LCA. ISO is primarily responsible for standardizing the LCA methodology. It concerns the technical as well as the organizational aspects of an LCA project. Organizational aspects include design of critical review processes and matters like the involvement of stakeholders. It has been agreed that the ISO 14040 family of LCA standards should be used as a starting point for further development of LCA methodology within the building industry sector. The following standards are included under the 14040 series. In this phase, the product(s) or service(s) to be assessed are defined, a functional unit is chosen, and the required level of detail is defined. 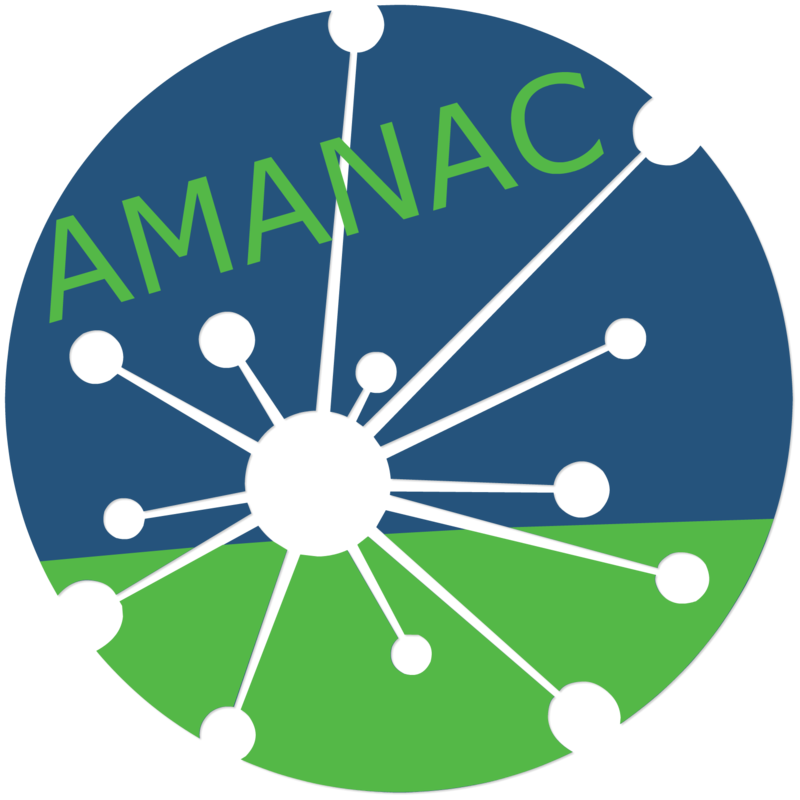 The type of analysis, impact categories to be evaluated, and the set of data that needs to be collected are identified in this step. 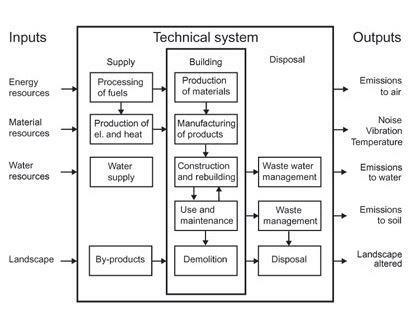 In this step, the energy and raw materials used and the emissions to atmosphere, water, and soil are quantified for each step in the process, then combined in the process flow chart and related back to the functional unit—an inventory of all the inputs and outputs to and from the production system is prepared as part of the inventory analysis. 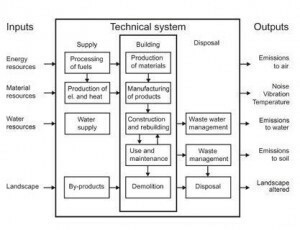 Thus, products and processes can be compared and evaluated using Life Cycle Inventory (LCI) results. If the results of LCI are consistent, which means that a product performs well or poorly in all environmental burdens, there is no need to carry out Step 3:Impact Assessment. However, if the LCI results are inconsistent, Step 3 becomes essential. In the inventory analysis stage, software tools and databases are critical. It is not possible to analyze each individual material and process from scratch each time an LCA is performed. Instead, software tools tied to extensive product and process databases are used to complete the inventory analysis. The simplest software tools are spreadsheets, in which material quantities can be entered. More complex tools act more like cost-estimating software, so that automated tabulation of material quantities from assemblies, on a square-foot basis, can be completed. A graphical representation of the Inventory Analysis step. The impact assessment translates the emissions from a given product or process into impacts on various human and terrestrial eco-systems. To aid in the understanding of impacts, the effects of the resource use and emissions generated are grouped and quantified into a limited number of categories,which may then be weighted for importance. In other words, data from the inventory analysis (Step 2) is attributed to appropriate impact category defined in scoping (Step 1). The results from this step can either be obtained for different impact categories or a single value result can be obtained by applying weights. Impact assessments differ among the LCA tools used—and there is no one dominant impact framework. For this reason, a given LCA may choose to skip the impact assessment step and instead present its results in terms of bulk emissions. The judging of impacts necessarily invokes the value system of either the LCA user or the value system embedded in the LCA tool. A given impact assessment may focus primarily on greenhouse gas emissions and deemphasize or ignore habitat alteration or toxic releases to waterways. LCA results are reported in the most informative way possible, and the need and opportunities to reduce the impact of the product(s) or service(s) on the environment are systematically evaluated. The outcome of this step is directly useful in making environmentally friendly decisions. LCA can be an iterative process; therefore, the interpretation of the LCA can lead to changes in the proposed design, which then leads back to Step 2 in the process.